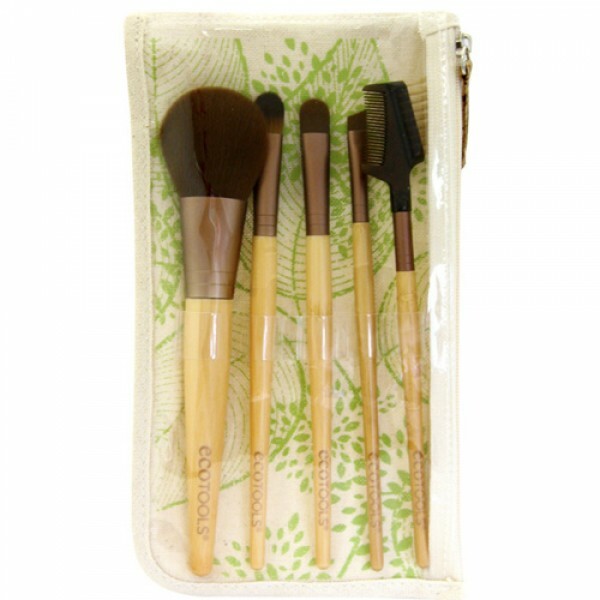 All the essential eco friendly makeup brushes in a handy case. Beautifully soft cruelty free taklon bristles, recycled aluminium handles and eco friendly smooth bamboo handles. These brushes are of excellent quality and extremely good value when purchased together in this lovely starter kit. The cosmetic bag has 2 pockets and is roomy enough to fit in extra brushes if you would like to expand your collection. 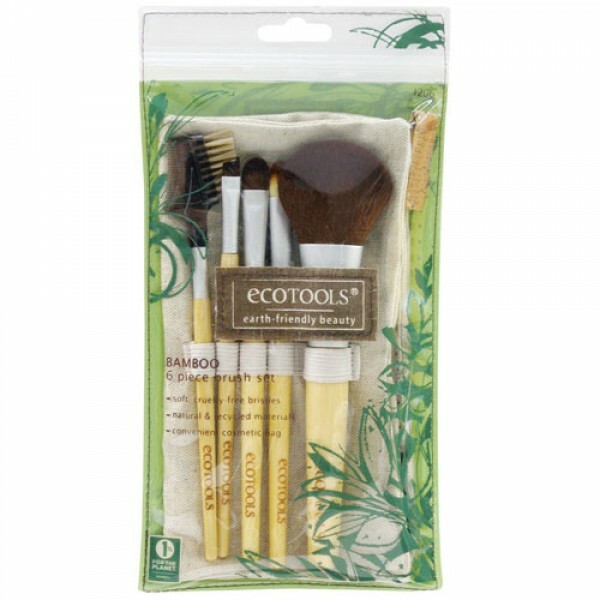 The EcoTools six piece starter set is ideal if you're looking to overhaul your own make up bag or as a really useful gift that's sure to be appreciated.